PlugIn featuring Metering and Loudness display for single- up to multichannel applications supporting all widely used PPM and TruePPM measurements and scales. Provided Loudness standards: ITU BS.1770-3/1771-1, ATSC A/85, EBU R128, ARIB, OP-59, AGCOM, CalmAct. 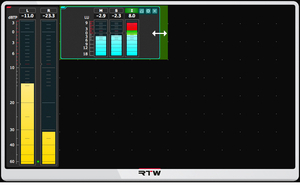 Level and loudness display with bargraph type or numerical readout plus MagicLRA display. 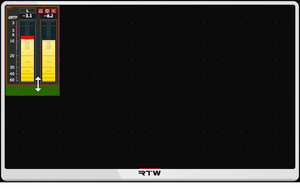 Six selectable window frames and multiple instances. Supported formats: VST2.4, VST3, RTAS, AAX, or stand-alone for Windows® 7 to 10, (32/64 bit each); VST3, RTAS, AAX, AU, or stand-alone for Mac® OS X 10.7 to 10.11. 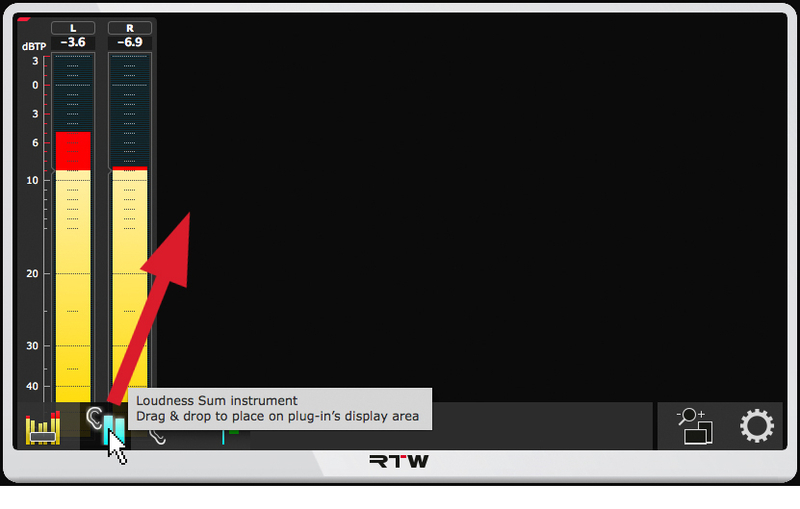 The RTW Loudness Tools are part of the RTW Masterclass PlugIns, a range of products that provide RTW meters as plug-in software and stand-alone application for Windows® and Mac OS X®. 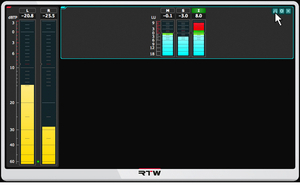 By transferring the analyzer tools to a pure software that requires no additional hardware, RTW will also make them available to musicians, radio producers, and audio/video engineers who need to meet the resulting implementation specifications required by TV and radio broadcasters. As a means for quality control, the RTW Loudness Tools with their precisely working and easy-to-read instruments ensure compliance with custom specifications. Thanks to intuitive operation, they are equally suitable for users with or without background knowledge. With this the RTW Loudness Tools provide the functionality of the award-winning TM7 and TM9 basic PPM instruments in combination with its loudness licence and offers the same degree of functionality and clarity as the hardware models. The instruments can be freely arranged and scaled. Various function parameters offer extra flexibility. The RTW Loudness Tools are available for download at members area. Activation codes are available from our sales partners or when purchasing from our shop. 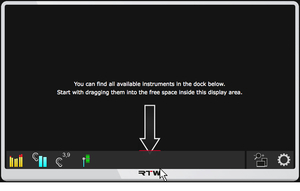 On the following screenshots we explain, how easy you can place, scale, and rotate instruments on the plug-in's display area. 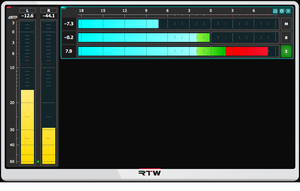 So you can adapt the RTW Loudness Tools to your individual needs. 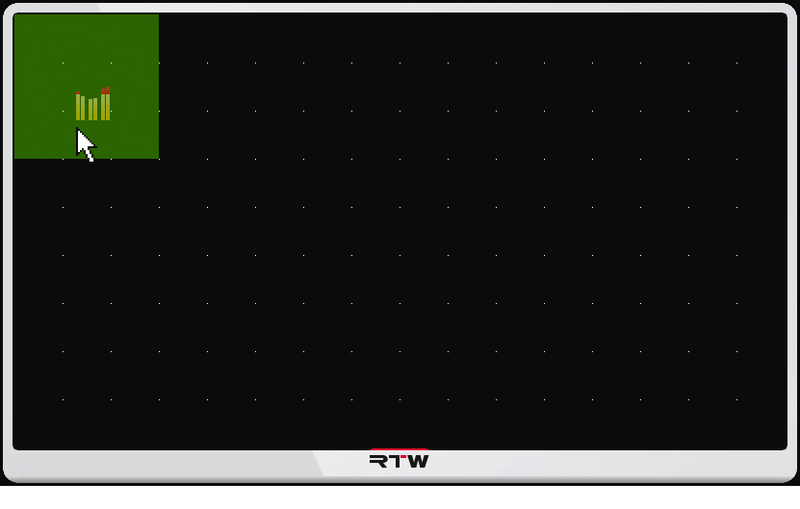 Move the mouse across the small red bar above the RTW logo. 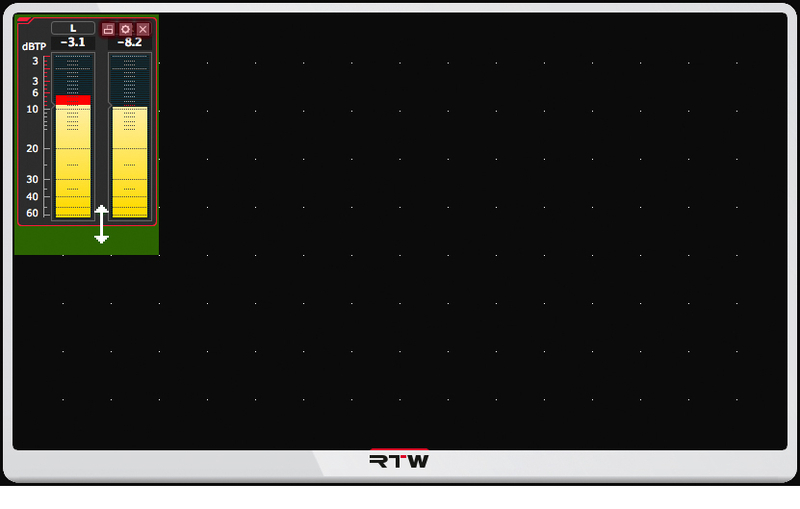 The dock including the instruments and preference options will be displayed. 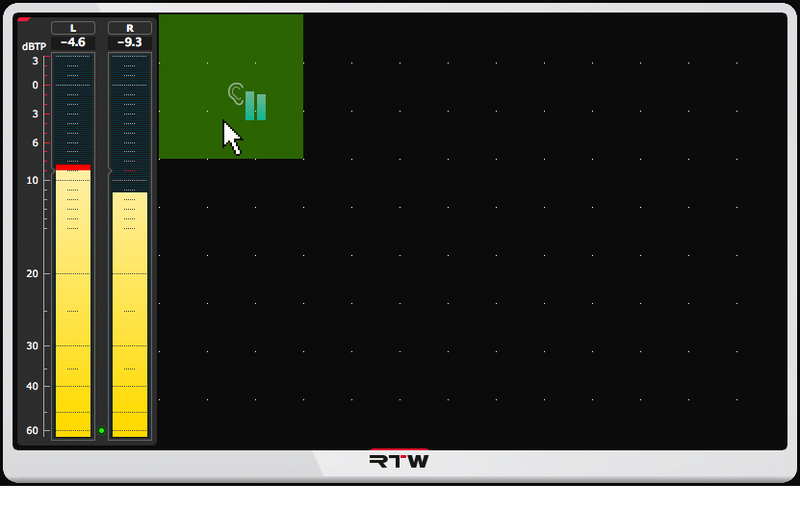 Move the mouse to TP/PPM instrument for example. 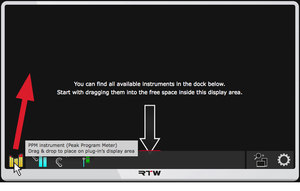 Click and hold the left mouse key and drag it into the free space of the display area. The green area around the instrument icon shows the initial space required for the instrument. Drop it at the position you want to place it. Moving the edges resp. 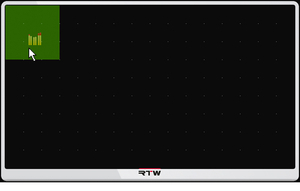 corners will resize the instrument in steps according to the grid. Move the mouse to Loudness Sum instrument now for example. 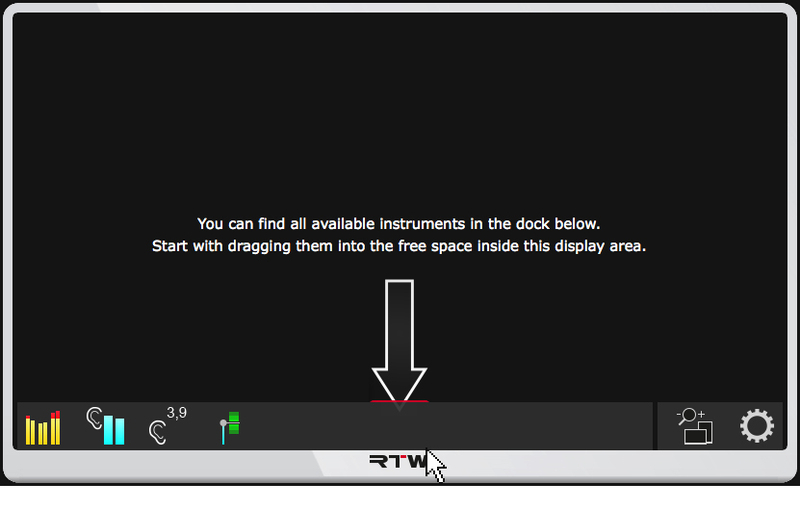 Click and hold the left mouse key and drag it to a free place of the display area. Drop the instrument at the position you want to place it and where the area for the initial required space is displayed green-colored. The instrument cannot be placed, if this area turns its color to red. For example, if you want to use the instrument in horizontal orientation, move the right edge to resize the instrument to the width you need. For horizontal orientation click to the first of the three icons being displayed at the upper right edge of the instrument. The instrument will be rotated and now fills the prepared frame. Now you can place other instruments. Clicking the left icon again will rotate the instrument back to vertical orientation. Clicking the centered icon will open the instrument's settings menu. Clicking the right icon will remove the instrument from the window at any time.